How do I do a Kegel/Pelvic Floor contraction correctly? How often should I be doing them? How else can I strengthen my pelvic floor as those squeezes alone are not working. Is it normal to leak a little when I jump or sneeze? ls there anything I can do about fixing a prolapse? l don’t leak when I start running but I do later on in my run, is that normal? 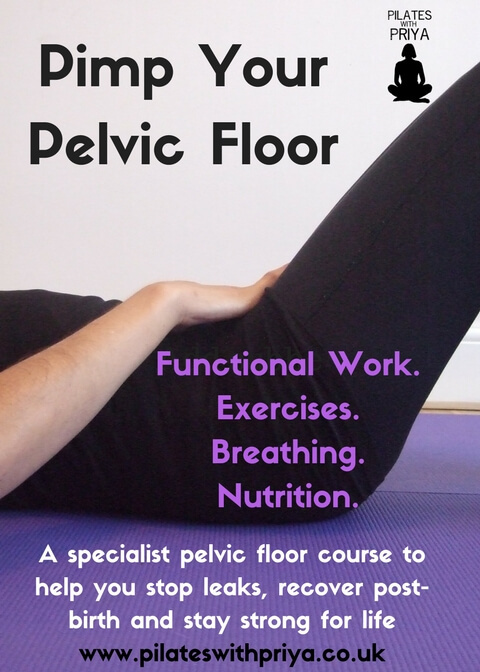 If you resonate with any of those questions or know you need to work on your pelvic floor then this workshop will help you! This workshop will teach you the basics of CORE BREATHING and the specialist technique of HYPOPRESSIVES. Webinars with top information on posture, how the pelvic floor work with the rest of the body and what you really need to know. Exercise videos that you can use at home. Downloadable pdf’s with posture tips. Nutrition advice and a recipe book. Pelvic Floor issues are on the increase due to our lifestyle. Poor posture, sitting, being less active all have an impact on our muscles, including the pelvic floor. In a recent study in America, they’re predicting that, if something isn’t done soon regarding educating women of all ages about effective pelvic floor exercise, the number of women suffering with pelvic floor dysfunction will increase from 28 million to between 43 and 58 million by the year 2050.That’s 50-100% more than the current figure. In France, ladies after birth are given pelvic floor rehab classes as part of normal post natal treatment. Yet, in the UK it is pretty much not talked about. Book on the course HERE.